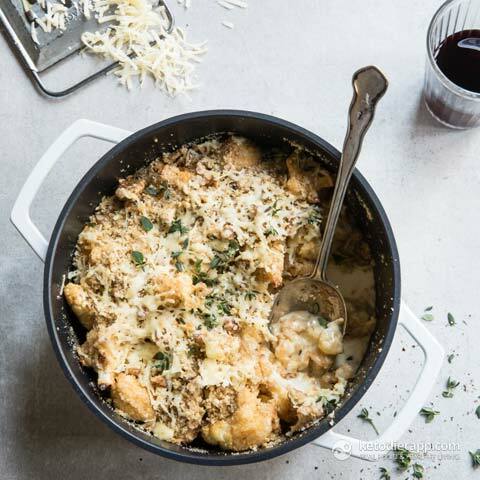 Cauliflower Cheese is comfort food at its best and this keto version is one of the tastiest I’ve ever had. Topped with a speedy low carb crumb and fresh thyme gives it a special extra twist that’s sure to please. Serve with your favourite side of protein or as an accompaniment with Sunday lunch. Roasting the cauliflower first makes it extra tasty. I hope you enjoy it as much as I did. Note: This is 2 batches of the Keto Cheese Sauce, about 2 cups. Preheat the oven to 180 °C/ 355 °F (fan assisted). 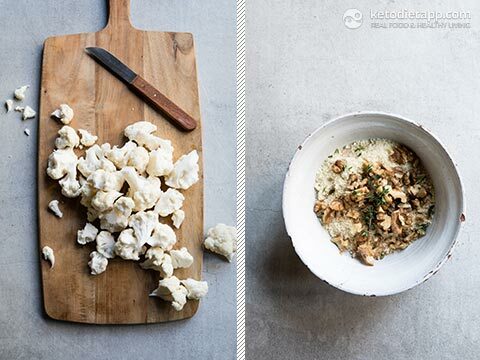 Chop the cauliflower florets into chunks. Place on a baking tray with 2 tbsp of olive oil, paprika and salt. Roast for 35 - 40 minutes until golden. 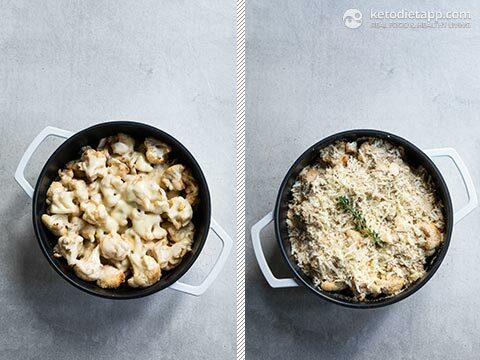 Meanwhile, make the Keto Cheese Sauce by following instructions here. (it&apos;s a double batch). Prepare the topping by mixing the flax meal, ground almonds, walnuts, thyme and 3/4 of the cheddar (keep a little back to sprinkle on top) together in a bowl. Rub with the butter to form a crumb. 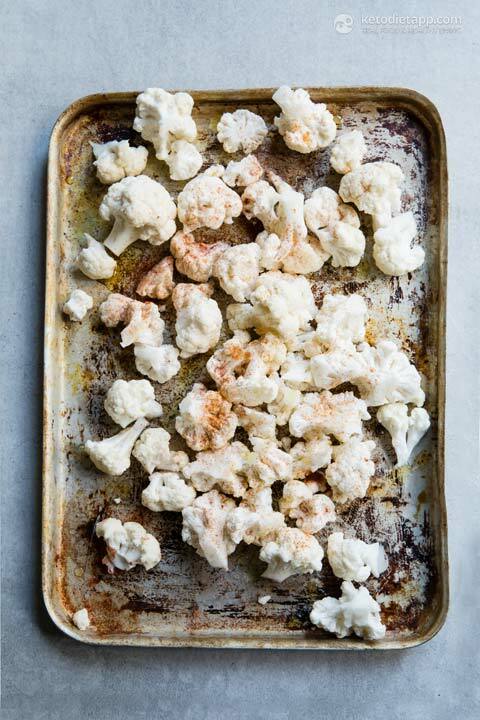 Place the cauliflower in an oven proof dish. Top with the prepared Keto Cheese Sauce, then flax topping mix, remaining cheddar and drizzle over 1 tbsp of olive oil. Roast in the oven for 20 minutes until the topping is golden. Top with a little fresh thyme to serve. 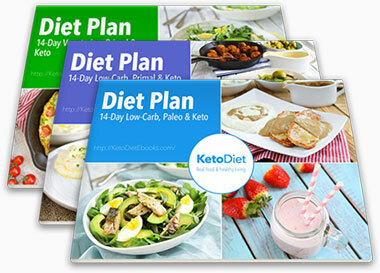 For best results, eat on the day or store in fridge for up to 3 days. I wonder if you could use Bacons Heir bacon breadcrumbs to make the topping. I can’t do the almond flour. The bacons heir breadcrumbs are a great binder in meatloaf. Looks dlelicious. Ant wait to try it. I'm not familiar with those but based on what I found on Google they look like pork rinds and should be ok for keto. 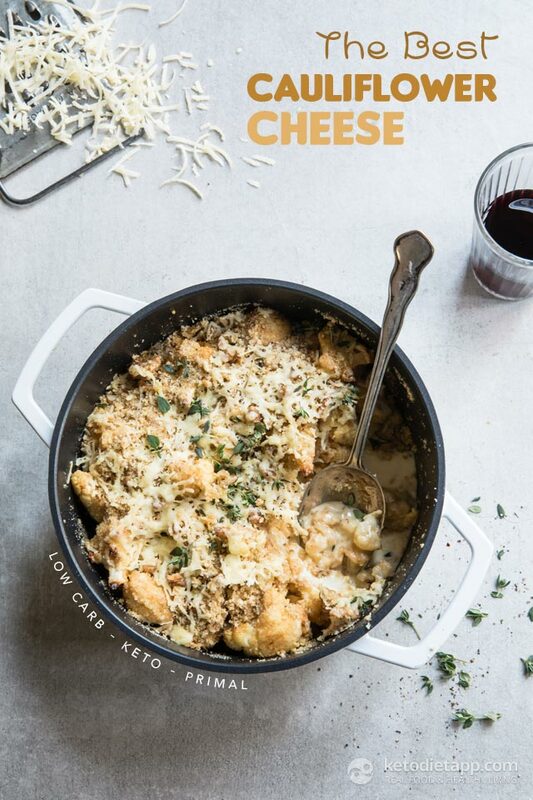 Just making sure I understand—you use the double batch of cheese sauce in this recipe? Or just half the prepared cheese sauce? Thanks! This looks good. Hearty and healthy at the same time. Do you use almond flour or pieces? In one place you have one and in the instructions you have the other. Hi Cathy, almond flour is the same as "ground almonds". There are, however "defatted" types of almond flour in which case I would specifically mention that in the ingredients. I hope this helps! I'll admit to not being a huge fan of cauliflower. Even so, this dish looks really good. That says a lot about the recipe and your photography is great as well. Did you just crumble bacon on top or did you add it to other ingredients. I think with the bacon topping I could get my husband to try this.